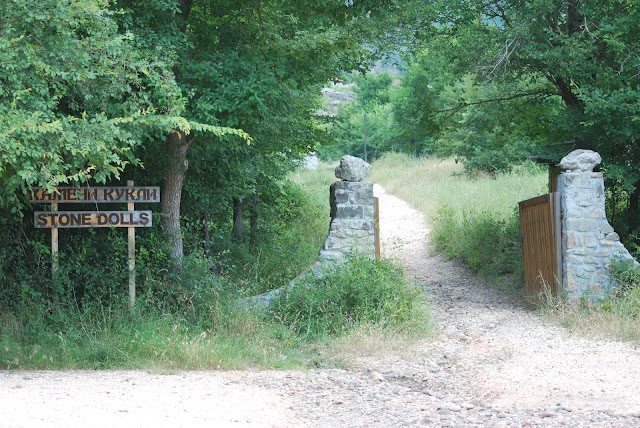 Macedonia is a place with a complicated history similar to many European countries. It has been settled, invaded, conquered, and fought over for thousands of years. 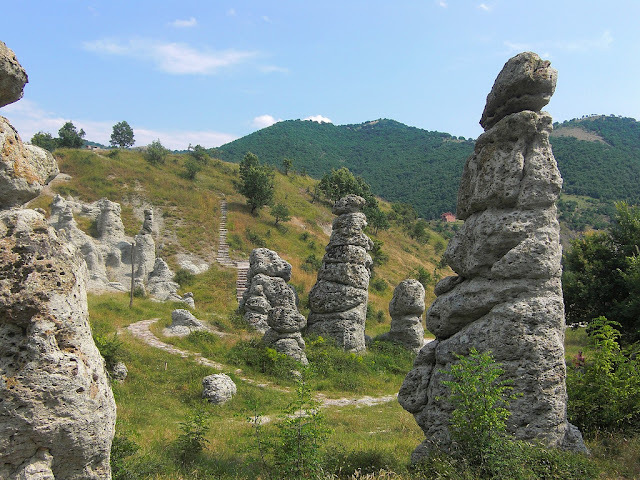 There’s a stone town area comprising of more than 120 naturally formed stone pillars located in the village of Kuklica about 8 km northwest of Kratovo. Kuklica is a small town, housing no more than about 100 inhabitants. However, stone formations are situated on the right bank of Kriva River Valley, an altitude of 415-420 m stretching an area of 0.3 square km. 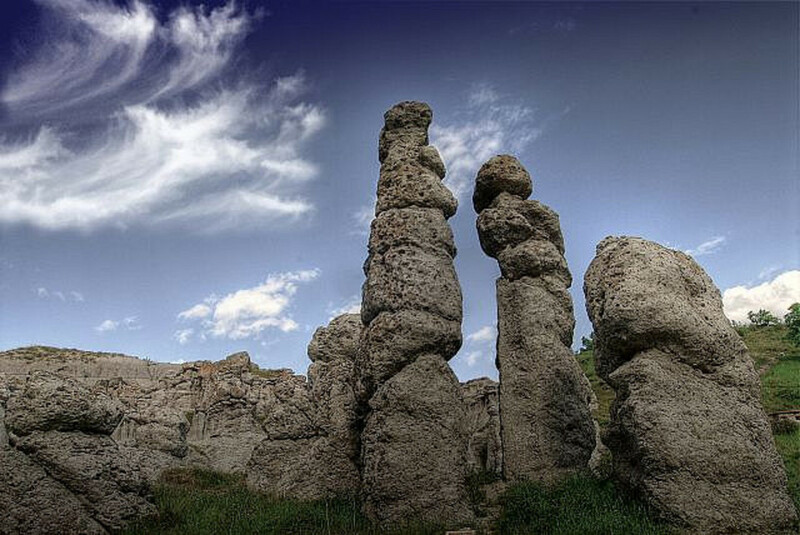 There’s an interesting behind the stone pillars, when there is a man who fell in love with two women but could not decide which he should marry. He was in troubling in dilemma situation between two women. One day he decided to marry both women on the same day at different times. Therefore, when the first wedding was in progress, the other women saw her future husband marrying another women, she cursed all in attendance at the wedding and turned them into stone pillars. Moreover another interesting story is that, when a popular legend was went in forest in that area, but due to battles it was burned down. After that the area became a wasteland. Even though, the temperatures were very low and when the army passed through the wasteland, all of the soldiers turned into rocks. 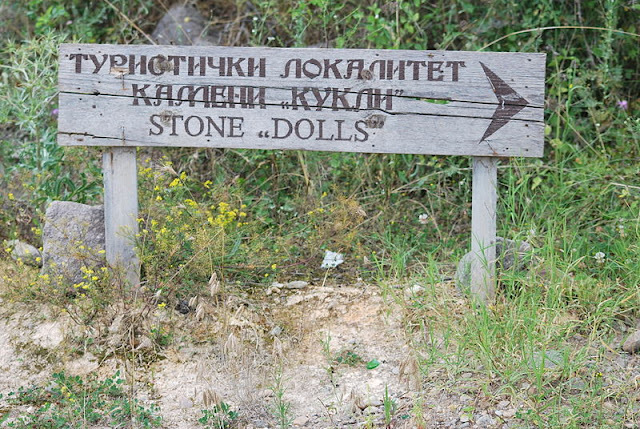 Furthermore, according to local villagers, new figures appear every five to six years. 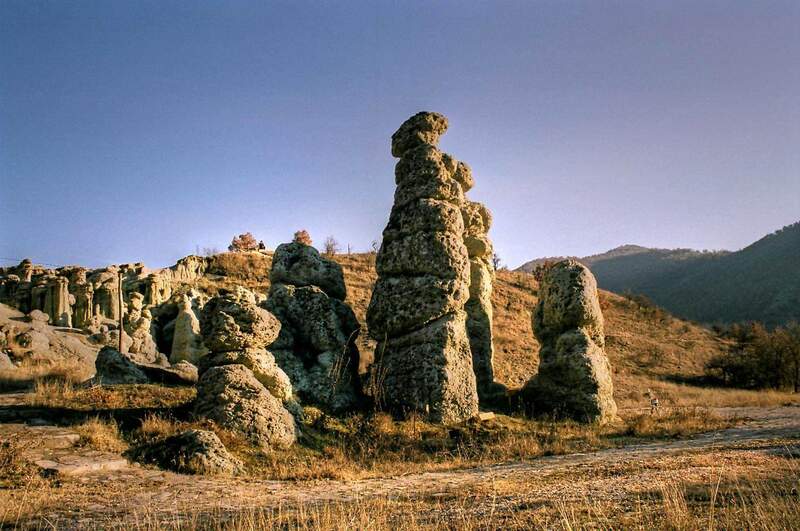 There’re 4 places at the Balkans where you can this phenomenon, however three of them in Macedonia. Well, despite the mystic stories the earth pyramid in Kuklica was formed as a result of natural erosion processes in the Holocene, almost 100,000 years ago. The stone dolls of Kuklica, as they’re often called, are recognized in geological circles as earth pyramids, or earth pillars are mainly believed by specialists that they are the product of natural erosion and the more conspiratorial among us roll our eyes on cue. In fact, the entire region was at one time part of a large volcanic system, as most of the rock in the area is tuff (solidified ash) and volcanic rock, both of which are relatively soft. 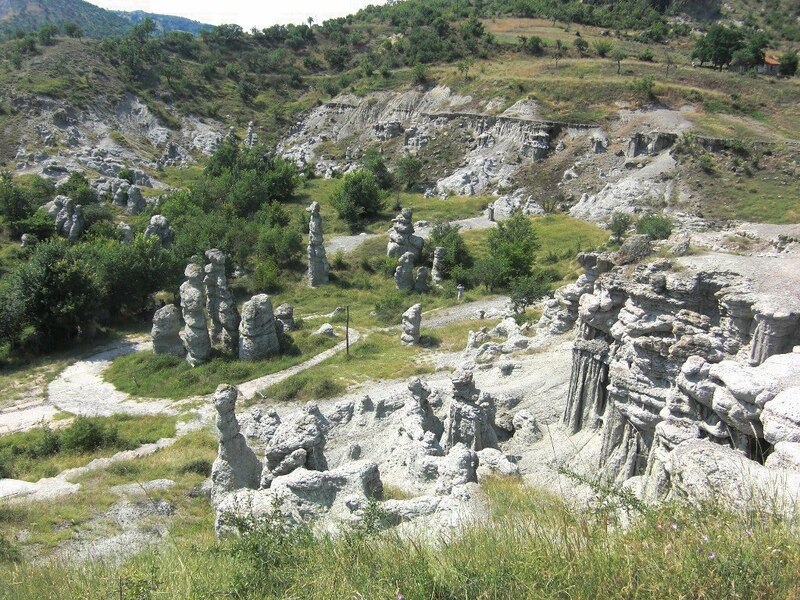 Thus, differences in the erodibility of the volcanic rocks of the area are the main factor for the pillars creation. 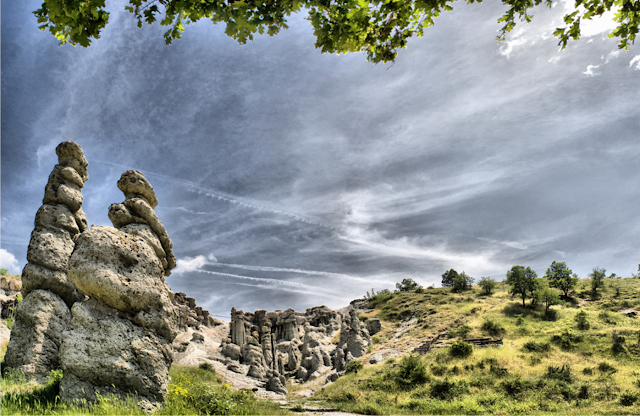 Therefore, soft tuffs rocks on the base are overlaid by solid, sturdy andesites and ignimbrites on the top, which are nearly 30 million years old. 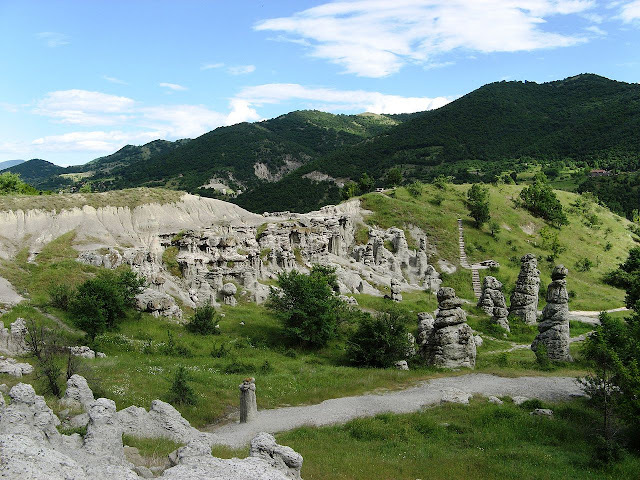 Kuklica is quite small and not an easy place to find, so it is suggested to hire a tour guide to get the most out of their experience.